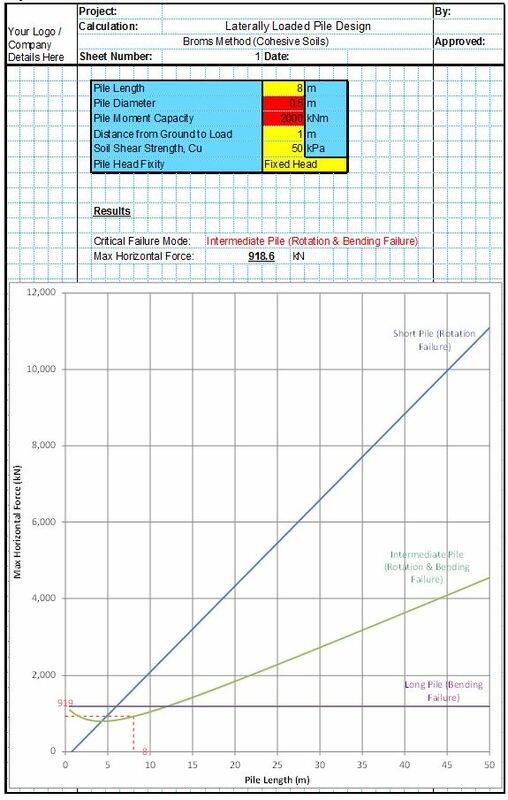 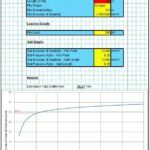 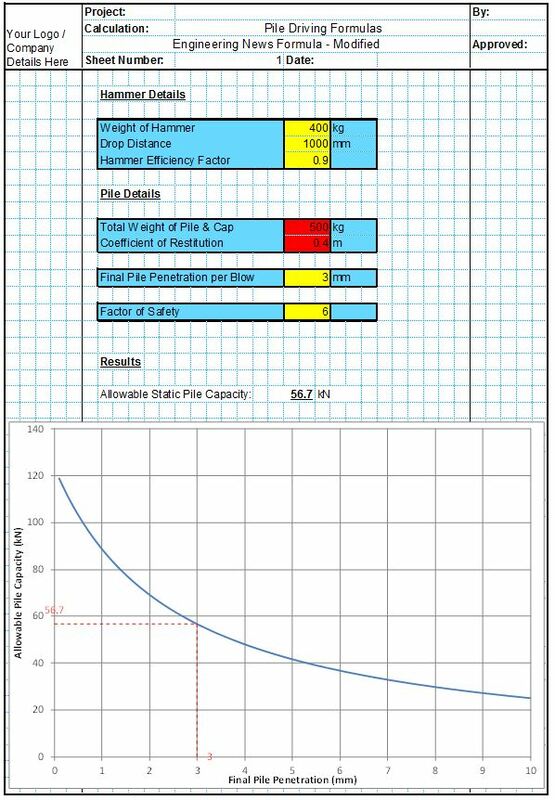 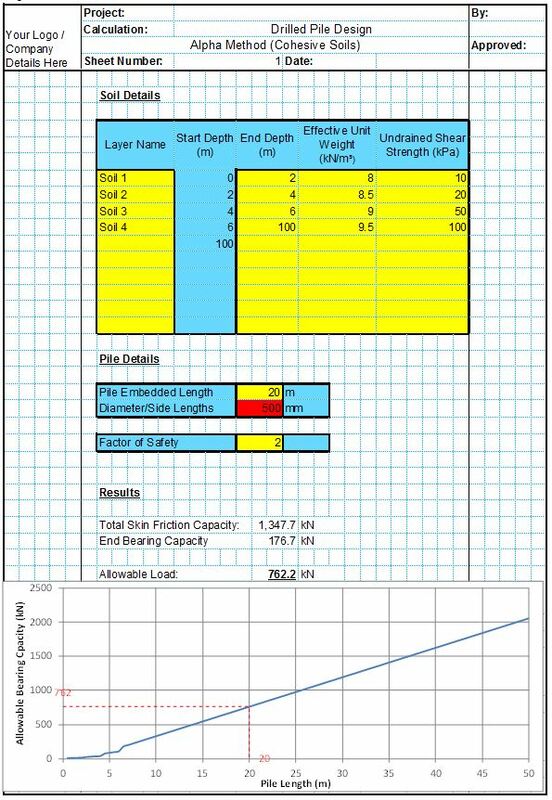 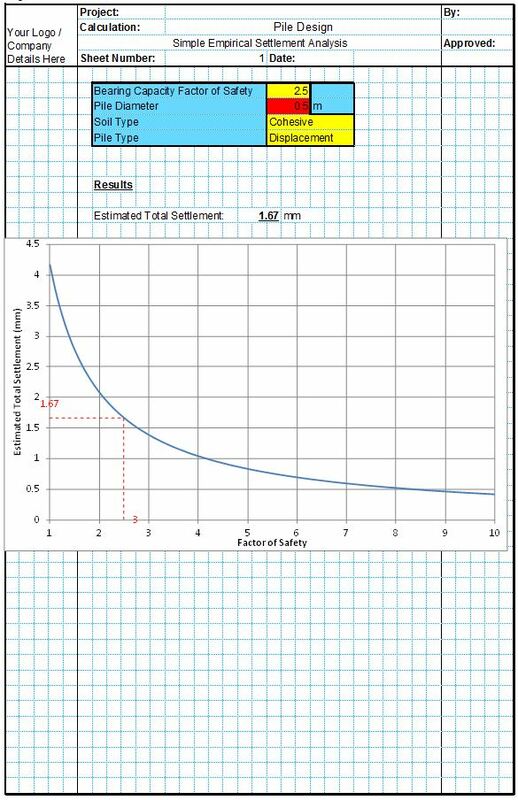 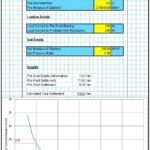 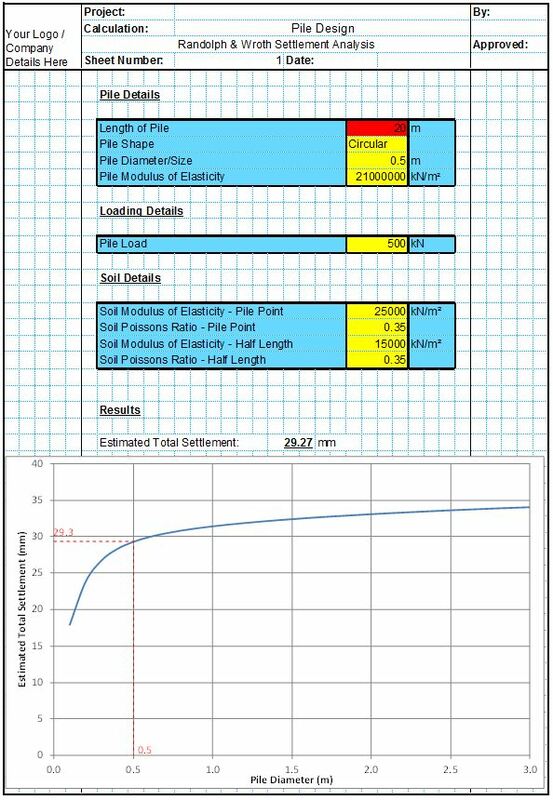 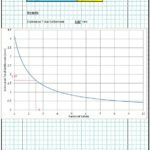 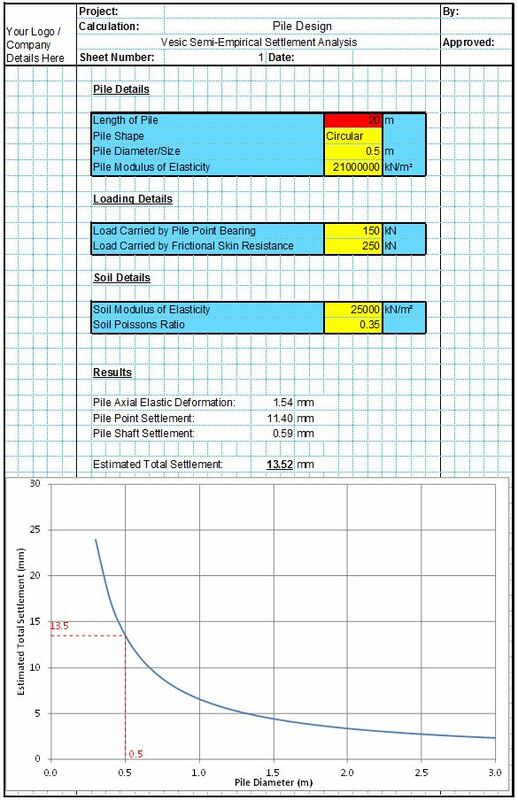 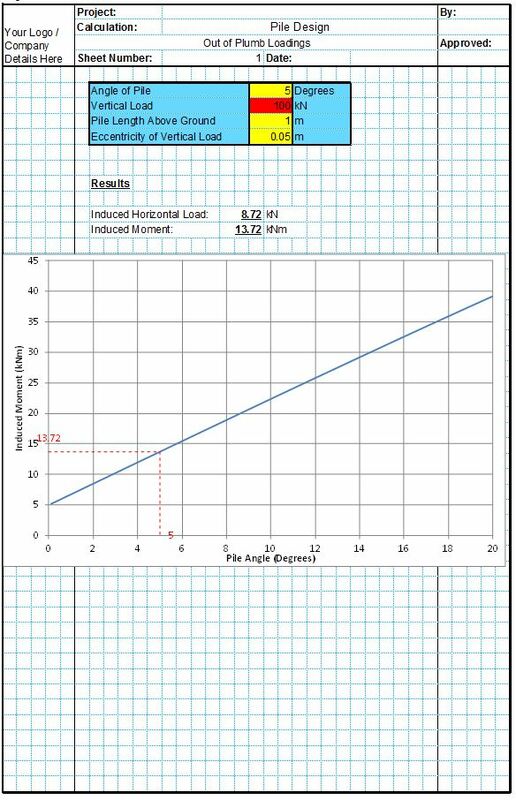 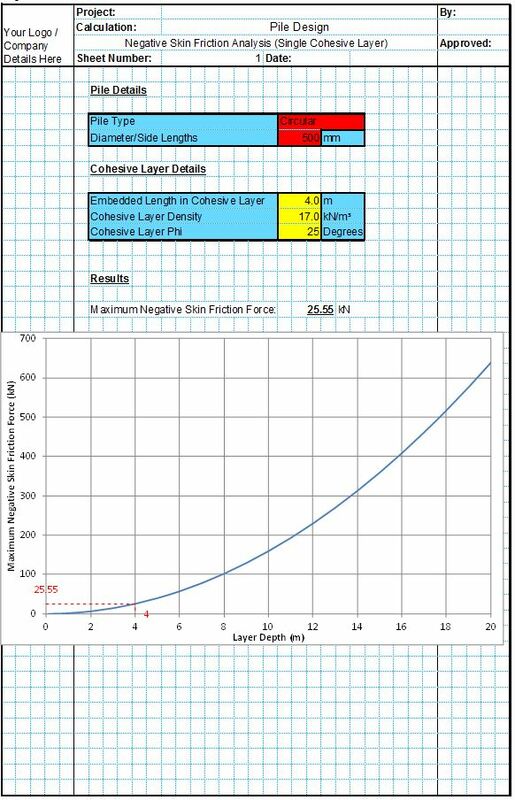 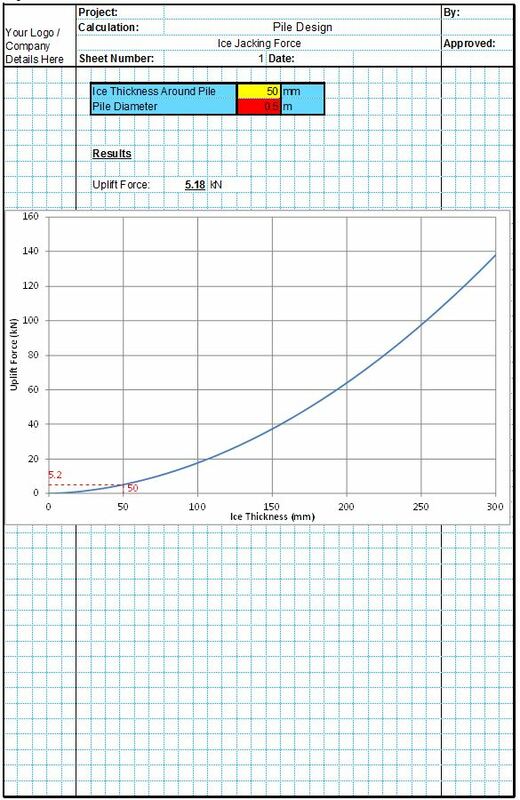 This spreadsheet allows the user to estimate the settlement of a pile under axial load. 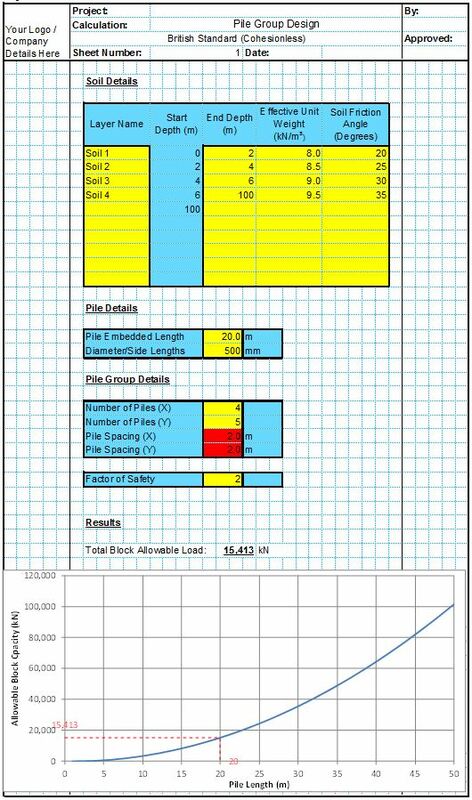 The user inputs some pile, loading and geotechnical details and the spreadsheet estimates the total settlement of the pile under load. 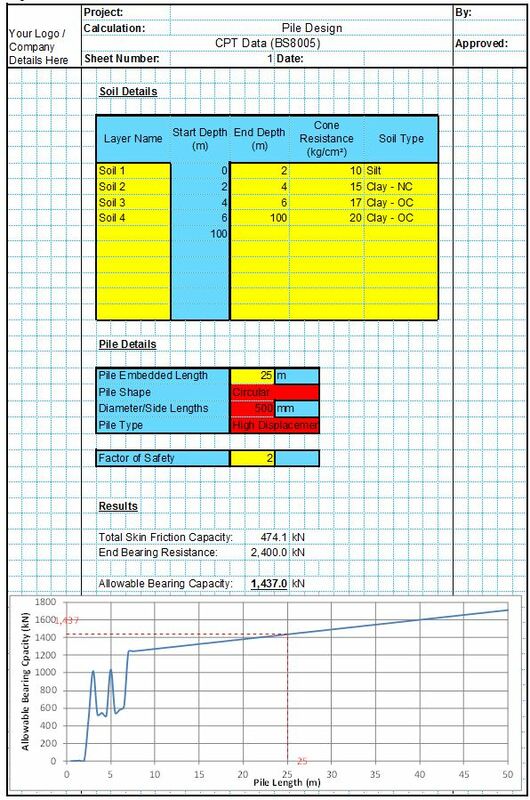 Enter your email address below for a free trial version of this spreadsheet.